Want to locate laser targeted prospects with problems you can provide solutions for? Start engaging in niche forums! Not only will you find people you can help, you’ll also have a platform to position yourself as an expert and provide free value. There are online forums for nearly every issue and topic out there. And if there isn’t one for people who will use your product or service, maybe it’s time to consider another business. 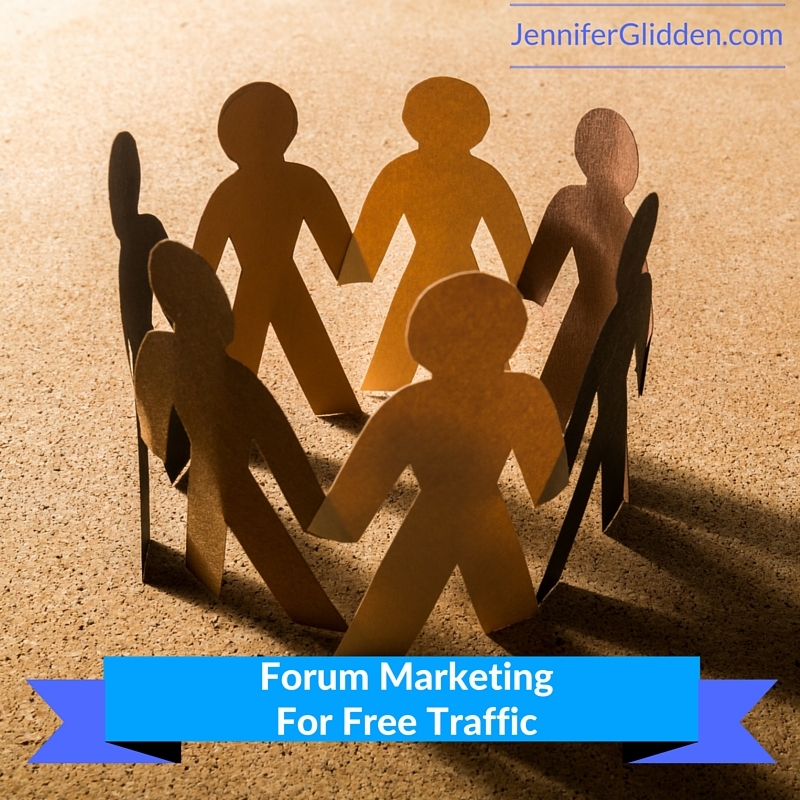 What’s the best forum marketing strategy? First, you’ll want to find some forums to participate in. Google “(your niche) forum” – for example, weight loss forum, low carb diet forum, aquarium forum, gardening forum, network marketing forum, Siberian Husky forum. Go as specific or general as makes sense for your business. Pick a 2-3 to participate in regularly. Next, you’ll want to get the lay of the land. Read some popular threads in different categories. Notice how people generally respond and what their signature lines say. Read the forum rules before making any posts. Once you’re comfortable with the forum as a spectator, create an account if you haven’t yet and start adding insightful replies to threads. Look for the threads with the most views and posts. Those will also give you an idea of what people’s problems are and what kind of solutions they’ve been able to find so far. The real opportunity comes when you’re able to update your profile to include a link in the signature. Some forums allow a new member to add a link in their signature right away, some require a certain number of posts before you’re allowed to add a link. If you have to post a certain number of times before adding a link, in the meantime put a line like, “Send me a PM about your questions on (your niche).” Reach the threshold you need to reach to qualify for a link. Once you’re allowed to add a link in your signature, it will update across ALL of the posts in the forum. So as you’ve been posting in the forum, adding value to various threads, creating relationships with other participants, and establishing yourself as an expert, you’ve also been leaving all sorts of links for people to visit your digital property. Maybe you want to link to a capture page offering a free gift, a blog post that’s particularly relevant to that audience, or something like your youtube channel where people can get to know you better, even an affiliate product that you’re promoting. Whatever you want to link to, you can change the signature line daily or weekly to see what kind of response you get. Note: An alternative to forums is Facebook groups. You can establish yourself as an expert there and create relationships with people. They also aren’t as organized in the way of threads on topics. The number of likes and comments may give you an idea of the popularity of the post. Facebook groups do not have the same opportunity to offer your link in the signature of every post. Forum marketing is a great way to not only attract laser targeted leads to your business, it’s also a great way to serve the market and get a sense of what real peoples problems that needs solutions are. Have fun, be authentic, get out there and make a difference! PS. Would 1000 laser targeted leads in 30 days make a difference for your business? Discover how here.